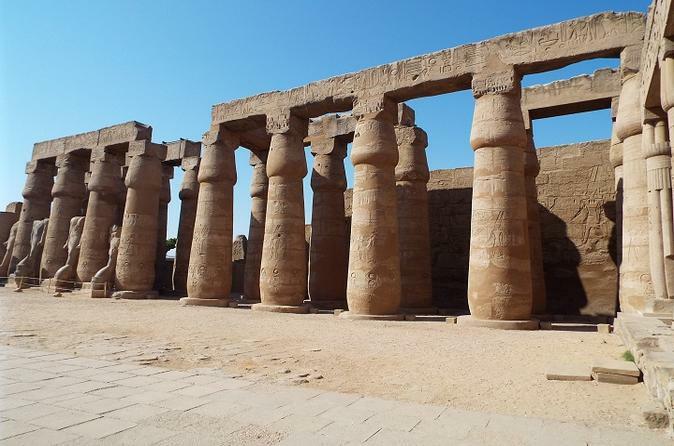 Discover the archaeological treasures of Luxor on this private day trip from Safaga port. Traveling by private air-conditioned vehicle, head for Luxor and explore the headline tombs and sites with a qualified Egyptologist guide. Visit the incredible Valley of the Kings, behold the breathtaking Temple of Hatshepsut and Colossi of Memnon, see Karnak Temple and take a felucca ride on the Nile. Enjoy lunch on a Nile island, and in-depth attention from your knowledgeable guide on this private tour all add to your enjoyment. 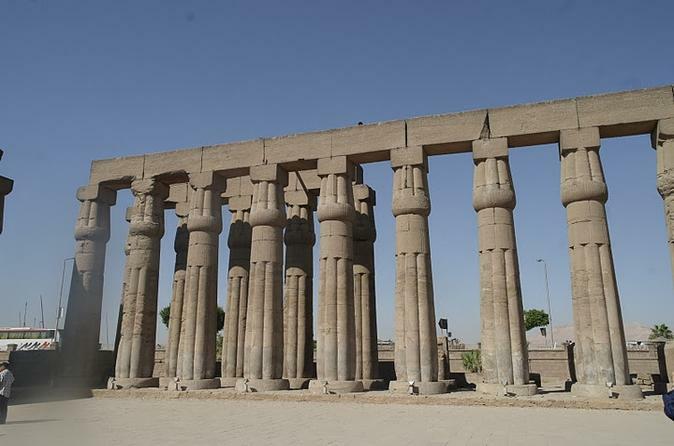 Private 2 day tour from Safaga to see the best monuments of the ancient East and West Bank in Luxor. 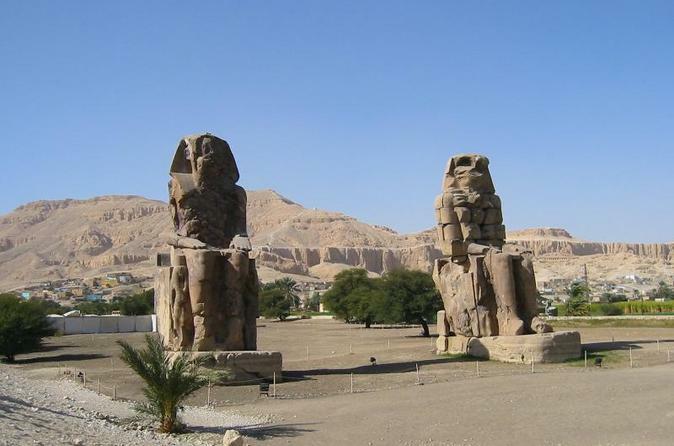 These monuments include Valley of the Kings (Necropolis of Thebes), Temple of Queen Hatshepsut (Deir el Bahari), the Temple of Medinat Habu (Temple of Ramses III), the Colossi of Memnon, Karnak Temples, Luxor Temple and Luxor Museum. Day trip from Safaga Port. 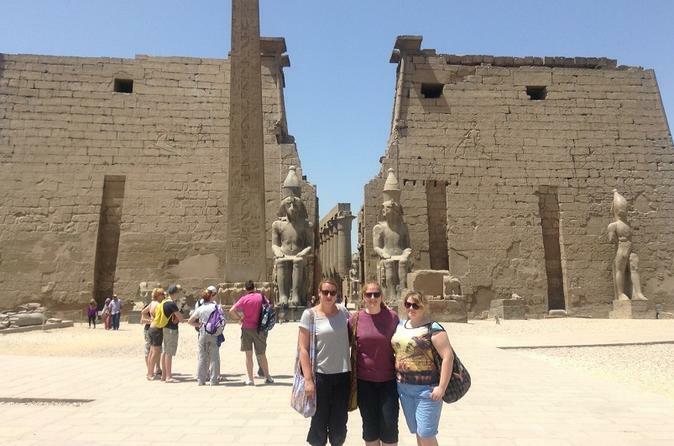 This is a wonderful opportunity to discover Egyptian life and visit Luxor. Visit both the East and West Banks of Luxor in one day, starting from the Valley of the Kings and ending in Luxor temple. Enter Egypt from Port Sagafa to visit the temples and tombs of the greatest kings and queens who ruled Egypt from Luxor, the capital of ancient Egypt. See the Temple of Karnak, the largest religious structure ever built. 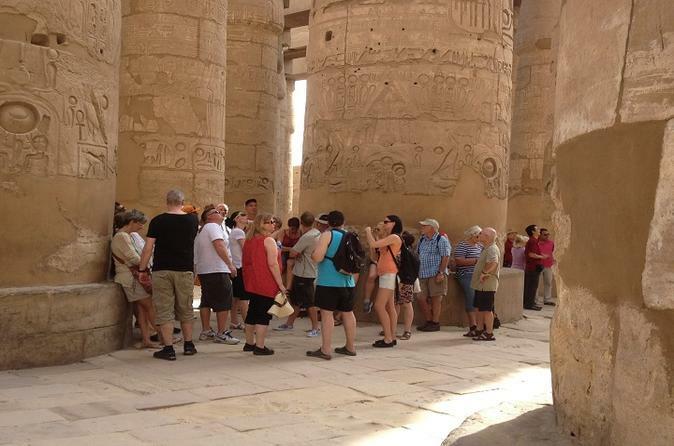 Private full day tour to see the highlights of the ancient West Bank and East Bank monuments in Luxor from Safaga. These highlights include Valley of the Kings, the Temple of Ramses III (Medinet Habu), the Colossi of Memnon and Karnak Temples. You will be guided by a licensed Egyptologist tour guide and transported to all the sites by a private air-conditioned vehicle. 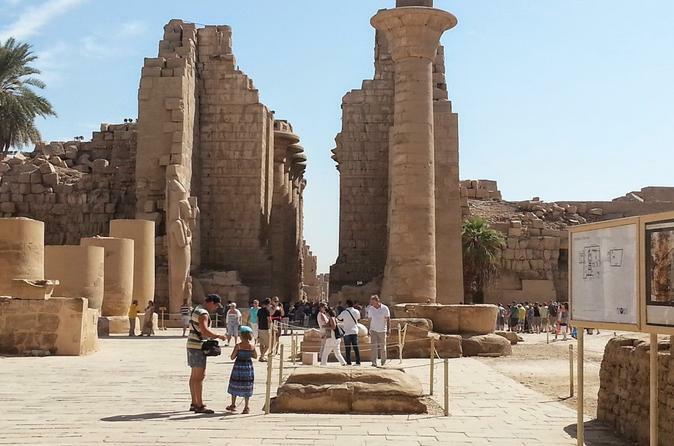 Enjoy an overnight tour to Luxor from Safaga port to visit the famous sights in Luxor like Karnak temples and Luxor temple at East bank and Hatshepsut temple , valley of the kings and collossi of Memnons at west bank. 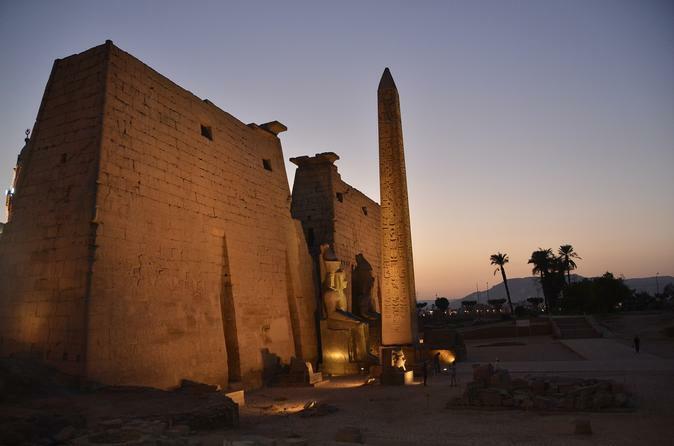 With your ship waiting in Safaga port you can visit Luxor and Egypt open air museum in one day. Visit the beautiful Karnak Temple on the East Bank, then onto the famous Valley of the Kings and Queen Hatshepsut Temple on the West Bank. A real enjoyable day. 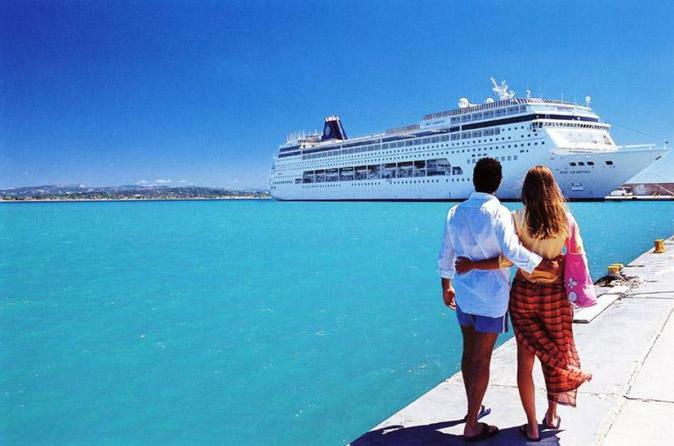 When you arrive in port in Safaga, take a shore excursion to the beautiful city of Hurghada Come and enjoy a Hurghada City sightseeing private tour. Traveling by air-conditioned vehicle, visit the beautiful Big Mosque, Church of St Mary, and scenic port area. Halfway through stop for a delicious lunch. Then experience some free time to explore the fabulous colorful souks for some serious shopping. Enjoy a private tour with private guide and exclusive van just to satisfy your needs to discover the ancient Pharaonic temples and historical sights of the greatest civilization there ever was earth. 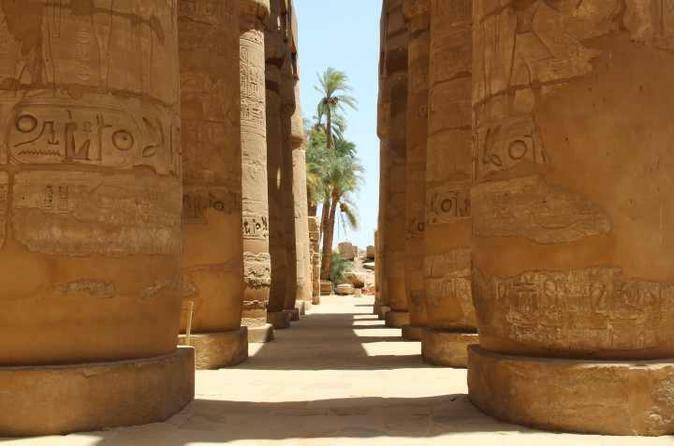 You will have the chance to visit Luxor and Thebes the Valley of the Queens and Kings and more. This is a 3 hour drive from Safaga Port, do not miss out on this great opportunity. Enjoy a private 2 day trip to Luxor from Safaga Port where you will visit the Luxor temple, Karnak temple, then check in 5* hotel. Next day pay a visit to Valley of the Kings, Hatshepsut temple, Colossi of Memnon then we drive you back to Safaga Port.